Are you dreaming of a relaxing vacation that involves nothing more than lying on the beach and sipping cold drinks? Then you need to consider two excellent places to go for a beach vacation. Those two places are Hawaii and Phuket. As with any vacation, the first step is to book your flight. 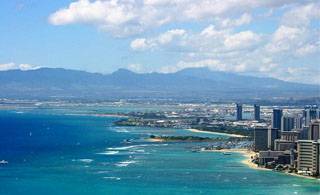 Those looking for flights to Hawaii would be wise to check for flights well in advance for good travel deals. 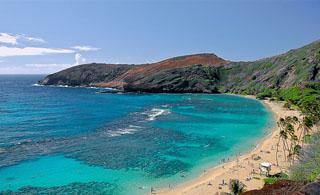 Perhaps the most beautiful island in Hawaii is the island of Maui. West Maui has five beaches; Kaanapali Beach, which runs three miles in length and was voted “America’s Best Beach” in 2003, the D.T. Fleming Beach Park which was named “America’s Best Beach” in 2006, Kapalua Beach, Launiupoko Beach Park, and the Puamana Beach County Park. Anyone visiting Hawaii must take the time to visit Hana, Maui. The road to Hana takes tourists past beautiful waterfalls, rich green rainforests, exquisite pools, and mesmerizing seascapes. Upon arrival in Hana, tourists pass St. Sophia’s Church, which is located on the main street of Hana. If Hawaii isn’t the right choice for you, a trip to Phuket, Thailand may be a better choice. 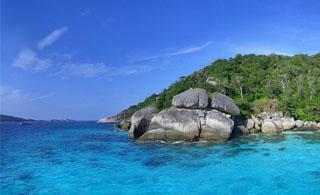 And once again it is advisable to book well in advance for good deals on flights to Phuket. Once you arrive in Phuket, it is time to let yourself relax and enjoy the culture. Phuket is the most popular beach destination in Asia. The most famous beach in Phuket is the Patong Beach. In addition to soaking up some sun on the beach, Patong boasts hundreds of bars and discos for the entertainment of thousands of tourists. One must see city in Phuket is Old Phuket Town, which is a city rich in history. Old Phuket Town boasts cafes, museums, a red-light district and many shrines and temples. Hundred-year-old mansions can also be found in Old Phuket Town as well as visually stunning architecture. Thalang Road in Old Phuket Town hosts the Old Town Cultural Festival, held annually in February. The festival is a celebration of Phuket’s ties with China where residents dress up in “Yaya” style outfits. A mansion near the festival hosts a history based show every year. For a relaxing beach getaway and the chance to see some unforgettable sites, both Hawaii and Phuket are recommended travel destinations for anyone looking to get away from it all and surround themselves in warmth and luxury. Sebastian Chirino, the author of the “Top sunny beach holidays” is a travel blogger for a leading cheap flights comparison website in Australia.